You can disable the audio on the D-Link DCS-930L camera – a feature that is important in States where you need permission to record audio (advanced set up manual). The D-Link DCS-930L is one of the most affordable nanny cams on the market. It is only a basic model, without many of the features of more expensive models, but if you have a small budget, then this is a great option for your family. Are you looking for the best nanny cams to protect your family? Well. if you need a low priced nanny cam option, then the D-Link DCS-930L might be the choice for you. It is simple to setup and does not need a PC to run, but you do need a computer to set the system up. Email or SMS notifications when motion is detected. Basic but very functional camera. One of the big pluses of this nanny camera is that there are no monitoring fees and no contracts. You can view your family, children or baby in real-time via your smartphone or iPad with the free mydlink app, receive motion alerts and with 1-way audio, you can hear what is going on at home as well. The main drawback of this D-Link camera is that it does not record videos for you to watch at a later date.The flip side of this is that you do have access to live/remote monitoring via the Cloud which is accessible on any PC or mobile device with an internet connection (no additional fees). Also, if you set the motion detector, you will have snapshots of the triggering event. Note that this model does not have infra-red night vision, so if that is one of your requirements, then you need to upgrade to a different D-Link model. I have included information on suitable models later in this review. Size: 0.98 x 2.36 x 3.66 inches. Power supply: 100 – 240 V AC/ 5 V DC. Storage: PC or external hard drive. Two-way communication: No -1 way audio only. Zoom: Yes, up to 4x. Warranty: D-Link offers a 1 year limited warranty. Video resolution: VGA CMOS for low light environments. Viewing angle: 45.3 degrees horizontal and 34.5 degrees vertical and 54.9 degrees diagonal. Software: You need to download the mydlink app from the Apple Store or Google Playstore. This camera also comes with software that allows you to configure the settings and options. Setup: This camera comes with a network cable, power adapter, camera base, mounting kit, installation guide, CD-ROM. 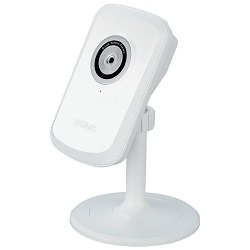 PROS: Just around 50% of all customer reviews give the D-Link DCS930L nanny cam a 4 or 5 star rating. The overwhelming opinion of customers is that all of the D-Link security cameras are very easy to set up and operate. Other good points include the clear video images and the value for money. I love the product so far. I originally bought with the intention of using it as a pet cam. I’ve even caught my pup chewing on a plastic stick, I texted my husband right away and he was able to take it away quickly. Great camera. I love being able to check in on the dogs when I am not home to see and hear what they are doing. I’ve used this model since 2011 to watch my Dad with Alzheimer’s without having to be in the same room with him 24/7. 5 years in, and not one problem. I bought this to keep an eye on my cats when I’m not there. It works great. Super simple to set up, works great. CONS: One of the common complaints is that the power cord is only 4 foot long (but that is easily fixed with an extension cord). Most other issues concern problems in setting up the camera, however the majority of people don’t have any problems with the set up at all. D-Link DCS-931L: This model appears to be the same as the D-Link DCS-930L, except that it has a WIFI extender – which boosts your network signal and helps to eliminate dead spots. 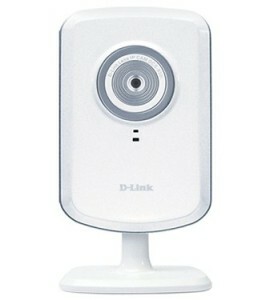 D-Link DCS-932L: This model has infra-red night vision technology up to 16ft from the camera. It has motion detection, but not sound detection. D-Link DCS-942L: This model can save video footage to a Micro SD card (up to 32GB), has infra-red night vision and can record 5x more footage than a MJPEG. DCS-2132L: This model has HD 720p resolution up to 30fps, remote pan and tilt, infra-red night vision, enhanced motion detection, two-way communication and a Micro SD card slot for up to 32GB. DCS-2330L: All of the previous models were for indoor use – this is the only model suitable for outdoor use and is designed to handle any season. HD video 720p resolution, can save to a Micros SD card (32GB) and has infra-red night vision. All of these models require a power outlet and have live video feeds. All are WIFI enabled and all stream video to the Cloud, enabling you to access live video feeds remotely. The DCS-903L comes with an optical zoom, motion detectors and free cloud storage. It is also very easy to set up, customer support are very helpful and it is at a very good price point. For the price, you can’t expect all the bells and whistles, so it does not have 2-way communication, but you can hear what is happening on the other end. It also doesn’t have IR night vision, pan & tilt or an SD card slot and you only have live video, not past footage. The D-Link DCS-930L surveillance camera is suitable to be used as a nanny cam, pet cam or for home security. It is the cheapest in this particular range and is a good option if you are on a budget. Looking at all of the online reviews, the main complaint about the D-Link surveillance cameras is that they are difficult to set up and the WIFi drops out frequently. Since these are advertised as easy to setup cameras, this is surprising, but on the other hand, most customers don’t have any problems with the initial set up. So overall, most issues are with setting up these cameras, so if you are tech-savvy, the D-Link surveillance cameras might be suitable for your needs. There is after all, a good number of different D-Link models with differing functionality, across a variety of price ranges.